Air is often taken for granted. Take it away for very long and we humans become frantic. Fortunately, an involuntary expansion of the chest now and then keeps us in good supply. But air is much more difficult to replace after being leaked from the confines of a tire under several atmospheres of pressure. Early automobile tires were inflated with a T-handled pump, much like many of us used on our bicycles as kids…or as purist cyclists still do today. A small hand pump might take more than 100 strokes to put even a skinny road bike tire back to operating pressure and many times that would be required to set the bead on a full-size motorcycle casing. Filling a truck tire would exceed the patience and fitness capability of most drivers. But re-inflating a tire doesn’t have to be a test of physical endurance nor should the device used require a bank loan to purchase. 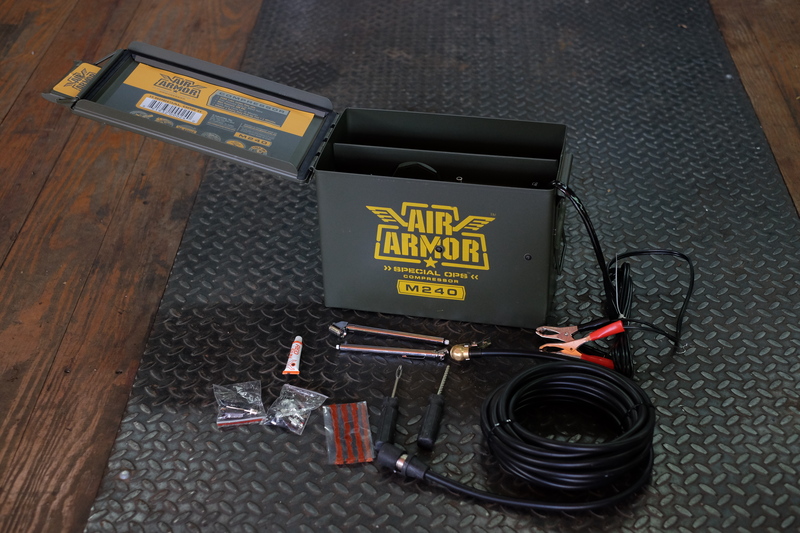 Unboxing the new Air Armor compressor was just good guy-fun. The entire 18 lb. package comes mounted in an ammo can, complete with all the necessary attachment hardware, a plug kit, glue, and miscellaneous valve cores and caps to replace that errant one that spit itself into the grass by the roadside. A built-in dashboard sports an off-on switch, gauge, and fuse holder. Two tire gauges are also provided, a 0-50 psi and 0-120 psi. Both tested accurate within less than one psi as compared to my known-good shop gauge. In fact, all components appear to be of surprisingly good quality, even the M-style quick couplers. There is plenty of extra room in the box for patches, gloves and other small vehicle-specific equipment. This unit is advertised as having a 100% duty cycle for 15 minutes, then reverting to 50%, meaning a two-minute operation should be followed by a two-minute cooling cycle and so on. Low and high pressure gauges, plug kit, glue and spare caps and valve cores…a lot of bang for the buck. Ample storage, a military looking dashboard with fuse, off/on switch, 150 psI gauge and a hard shell case make the M240 a tight and tidy package. Air compressor costs, portability and performance vary considerably. How much air do we really need? How much should we pay to get it? How much room do we have on our bikes or in our trucks for a compressor? These are a few of the questions surrounding a decision of which one to buy. Belt driven conversions and high pressure tanks offer other options too, but are beyond the scope of this discussion. I tested the Q Industries Air Armor against two totally different units for the purpose of helping readers understand more about the range of available options. After extending the 25’ flexible air hose and 10’ battery cables I reduced air pressure in one of my Tacoma’s 33.5” Cooper Discoverer S/T Maxx tires from 42 psi to a sand recovery pressure of 10 psi. A lock on the air fitting makes hands-free inflation a breeze. Four minutes after flipping the switch, the supplied pressure gauge showed the tire back at 42 psi. While operating, the Air Armor emitted a muffled, throaty growl and stayed put on the brick driveway with little vibration. M 240 sports 10′ of 12 volt cable and 25′ of quality air hose. Next, I replaced the $199.99 Air Armor M 240 with the robust $719.95 ExtremeAire Magnum. Weighing in at 35.2 lbs., nearly double the Air Armor, this unit is a serious commitment to having portable air at your beck and call. It took the Magnum just under two minutes to perform the same re-inflation on the Tacoma’s tire…twice as fast, but for more than triple the cost — time is money. During operation, the Extreme Air vibrated considerably, moving constantly across the brick surface. 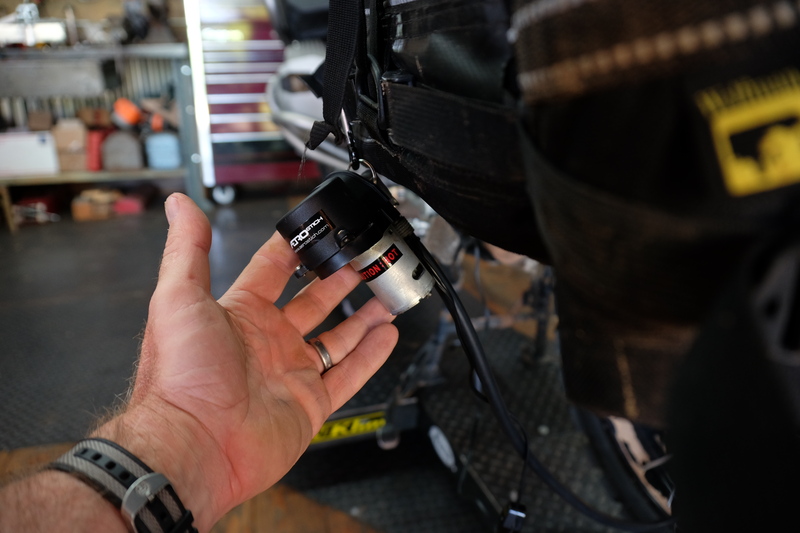 Finally, I moved inside the shop to test the M 240 on a motorcycle tire. I began by completely deflating the rear tire on my BMW R1200 GS Adventure (150/70 X 17). Next, I attached the $50 Aerostich Mini air compressor to the valve stem. This little gem is a lifesaver in a pinch, when carrying a bigger unit just isn’t practical. It is slow, but many times faster than a hand pump and has helped me out of many a jam. Compared to numerous palm-sized compressors I have used, the Aerostich comes in at the platinum level. The moment you flip the switch, a satisfying, energetic buzz provides confidence that you will soon be back on the road. It took almost four minutes to bring the motorcycle tire, a fraction the size of the massive truck tire we first tested, to 35 psi. Not fast by the standard of the other units tested, but it gets the job done reliably. I was eager to see what the M 240 would do on the same motorcycle tire test. In under a minute the BMW’s tire whooshed from zero to 35 psi and the compressor wasn’t even breathing hard. Certainly, the ExtremeAir Magnum would have been faster still, but I had proven my point. An air compressor doesn’t have to break the bank to get the job done. Each of these air compressors has its place. 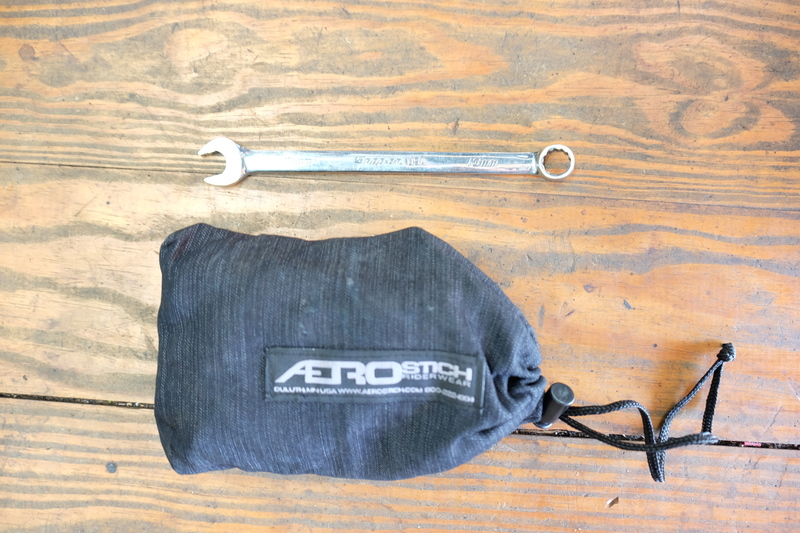 The Aerostich is tiny and inexpensive. It is reliable and durable enough to be tossed onto a motorcycle and hauled to the ends of the Earth. It won’t seat a bead in 30 seconds, and it is impractical for an automobile of any kind, but it will get you and your motorcycle home. 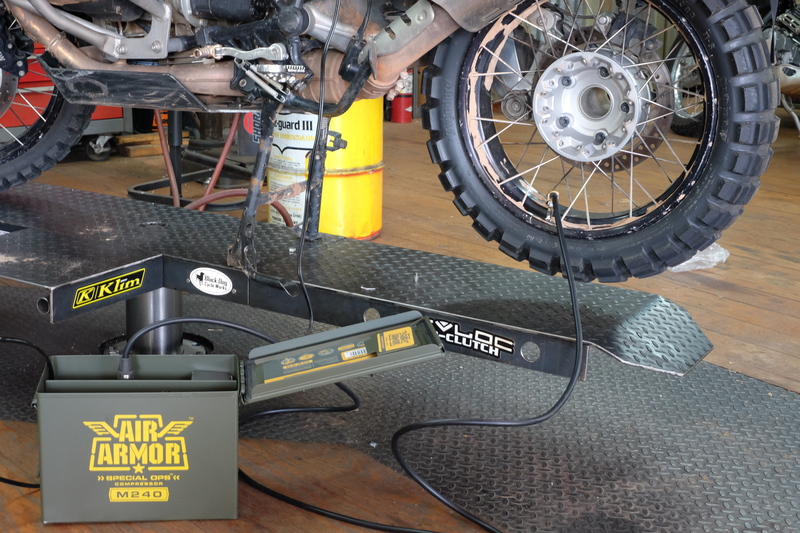 It also has sufficient duty cycle to re-inflate several motorcycle tires after an air-down, without overheating. That said, any of these compressors should be used with caution because cylinder head temperatures climb under normal use and can cause burns or damaged gear if packed against things that could melt. 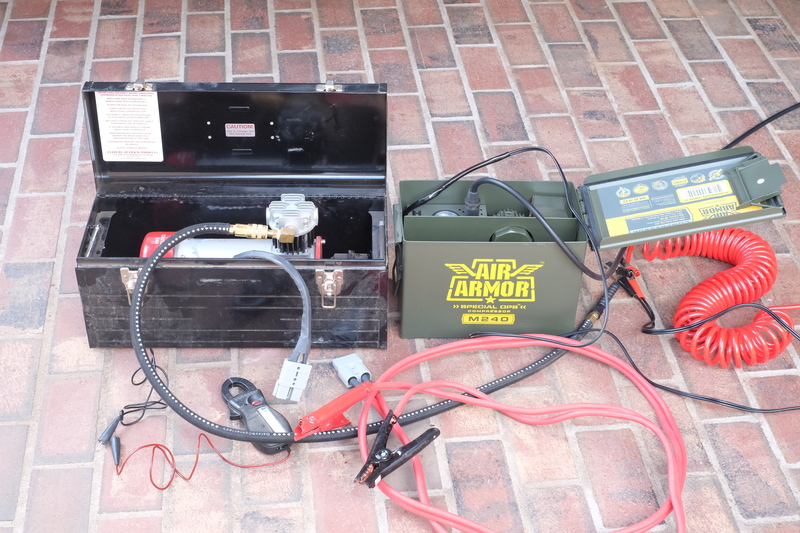 The ExtremeAir Magnum Portable is clearly the most capable compressor tested. If it seems I’m a little hard on this particular unit, it is because it is one of the most expensive in its class. Is it really that much better for the average individual than one costing less than one-third the price? It uses a spiral hose instead of the more user-friendly, high quality flexible rubber hose on the Air Armor unit. And the vibration seems unnecessary. At more than $700, it would seem an internal counter balancer of some sort could be part of the package. On the plus side, it sports a 100% duty cycle and a powerful 1.5 hp motor. Connectors, hose and cabling are hardy, commercial quality. 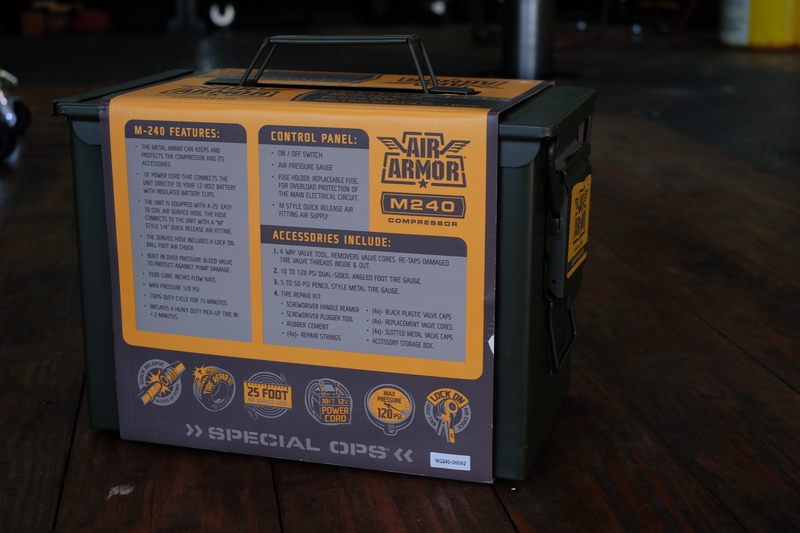 At twice the weight of the M 240 it is still portable and comes in a toolbox carrying case. If money were no object, even with its imperfections, perhaps this would be the best choice for someone heading into the great unknown. How deep do we dig…how much air do we need? The M 240 would make a great piece of gear for a family outing at the track or trails, for most in-country overlanding, or as an emergency air supply for all the reasons we might need compressed air. 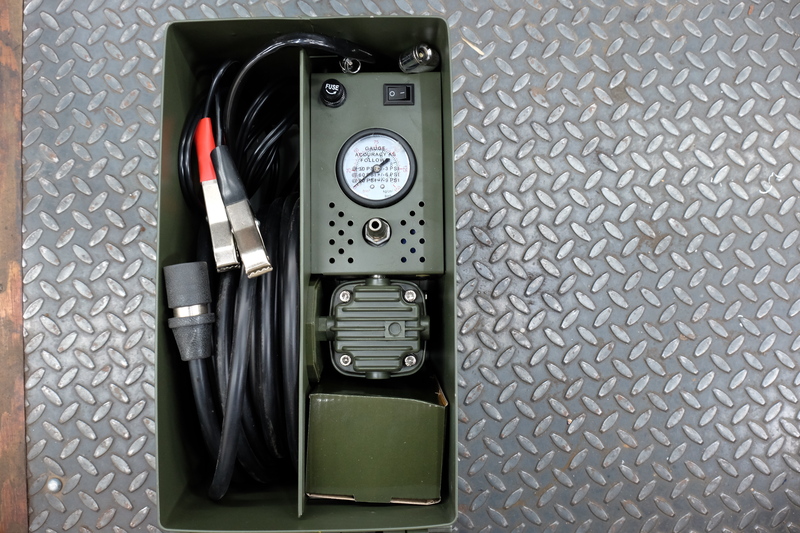 After more extensive testing and paired with a storage tank, I would consider it a viable first-line compressor for almost any overland travel. It can be tossed in the truck, where it will be bombarded with the elements, and hammered by everything else thrown in on top. This unit is built to be there when you need it and forgotten when it is not. 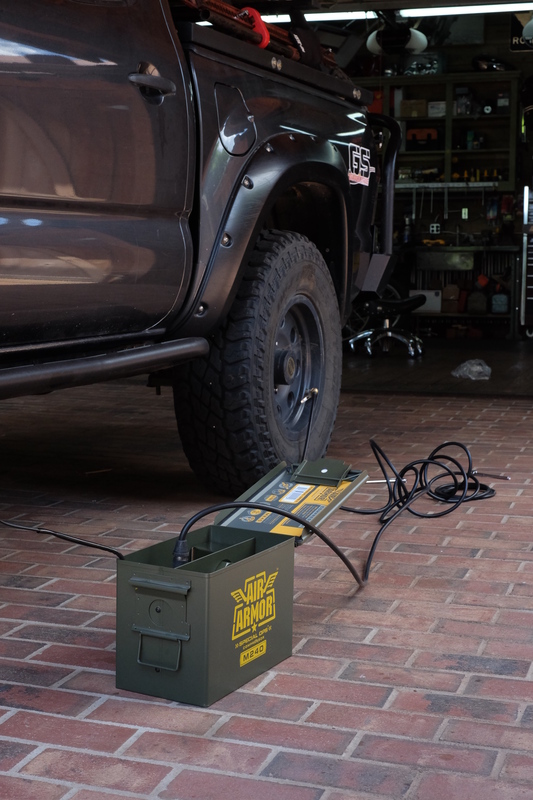 The military quality rubber-sealed ammo can keeps out the bad stuff while providing a place to tote a few flat repair and recreational equipment inflating essentials. At around $200, it is easily the best value. Thanks for the good air compressor review. I will have to look at the Areostich. It looks like it might be a good fit onboard my KTM 950. I currently use a Slime Mini compressor I got from Walmart many years ago. It’s an ok compressor but I’ve been looking for something with a little more build quality. I need a reliable air compressor to fill the tires on my F250 (front require 75 psi; rear – 80 psi). Is there a better alternative than this unit or should this handle my tire filling needs adequately? Michael, I am sorry for the late reply. The Air Armor is a very good, middle budget compressor. I have not run it at a heavy duty cycle so I can’t speak to its ability to push high pressures at the volumes you would require over the long term. I also have an Extreme Air Magnum which is rated at 2.6 CFM at 100 PSI and 6 cfm free flow. This 1.5 HP beast is relatively quite in operation…I have it mounted in the rear cab of my Tacoma, and it puts out plenty of air for most any need other than painting. I use a 3 gal. tank mounted in front of my rear bumper. It fills the tank to 145 psi in just over a minute. It draws about 80 amps and uses a 4 gauge wire for its 1.5 hp motor. It’s just shy of $600.00, but you get what you pay for. I would recommend this for your purposes if affordable.